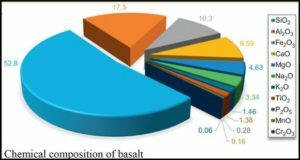 An adequate number of laboratory and bench-scale tests to evaluate the feasibility of using basalt fiber as concrete reinforcement have been performed and relative advantages evaluated. 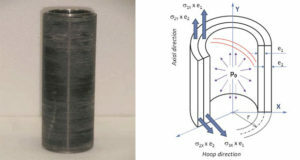 Continuous basalt fibers, 7µm-15µm in diameter, exhibit exceptional mechanical characteristics (tensile strength, modulus) in combination with excellent flexibility and chemical stability in cement and alkaline media. The epoxy-bonded pultrusion basalt-fiber composite containing 80% fibers (9µm-15µm in diameter) provide mechanical characteristics superior to those of glass-fiber reinforced composites currently available in the U.S. 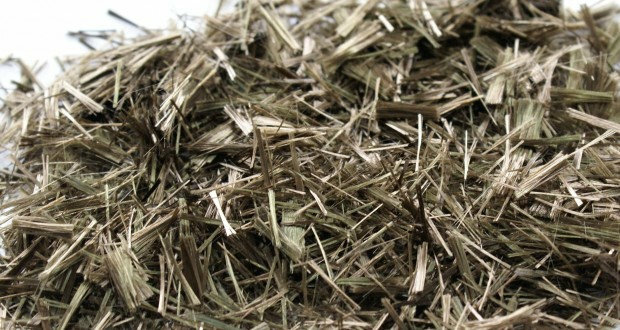 Under optimum conditions (resin, fiber content, fiber direction, dimension, etc. 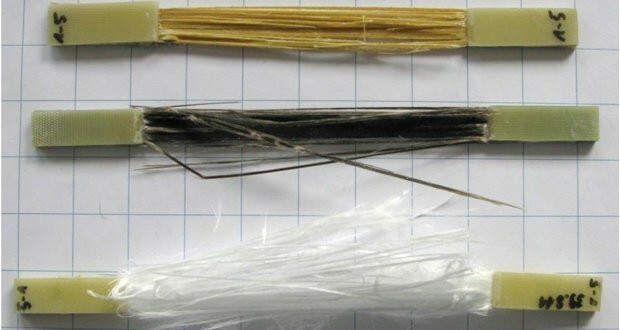 ), standard basalt-fiber composite specimens containing roving RB12, produced by RTM, show tensile strengths and moduli of elasticity twice that of E-glass fiber composite. Basalt-fiber composite rod (rebar) could potentially replace steel bar in reinforced concrete, providing higher strength and durability in areas where corrosion is a problem. 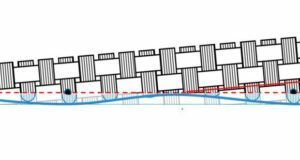 Tests of the mechanical characteristics of basalt fiber-reinforced concrete specimens have been provided. Concrete reinforced with 7%-10% coarse basalt fiber and concrete extruded from the mixture of Portland cement with 3vo continuous basalt fibers 7µm in diameter (chopped roving fibers 50mm-70mm in length) appear to have a higher level of strength, modulus and flexural properties than conventional and glass-fiber reinforced concrete. Vladimir B. Brik, Research & Technology, Inc. Madison, Wisconsin.